Impressions are based on the number of patrons times 3. Patrons see the message a minimum of 3 time in an average visit of 15 minutes. 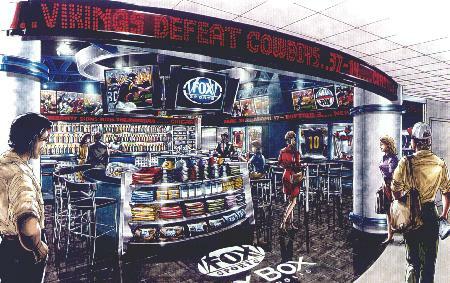 Fox Sky Box impressions are much higher because of the number of signs in each location. Las Vegas McCarran International "C"
Las Vegas McCarran International "D"